The pieces collected here were written over a ten year period crucial to the development of Sangharakshita’s thought and expression. From visionary early writings to the later articles leavened by deep reflection, there emerges the unmistakeable voice of the writer of A Survey of Buddhism. 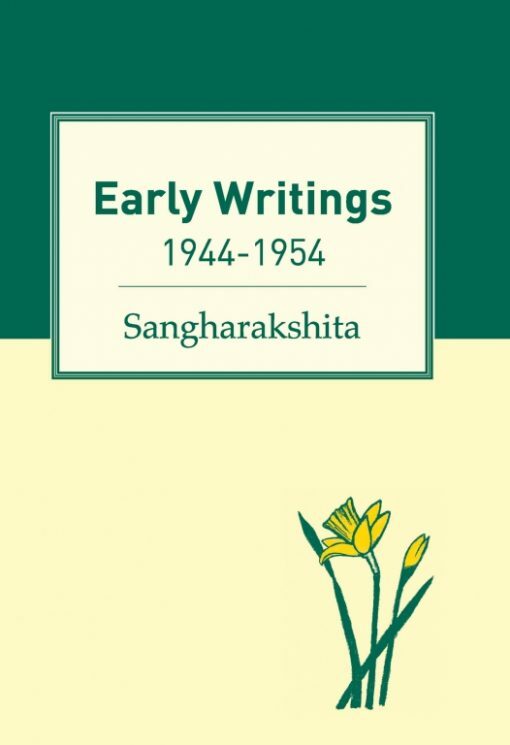 The pieces collected here were written over a ten year period crucial to the development of Sangharakshita’s thought and expression. From visionary early writings to the later articles leavened by deep reflection, there emerges the unmistakeable voice of the writer of A Survey of Buddhism. There is a wide range of subject matter from explorations of the entire field of Buddhism to the encounter of Buddhism with western culture and modern life and brilliant expositions of the implications for humanity of the Buddha’s teaching of selflessness. There is a wide range of subject matter from explorations of the entire field of Buddhism to the encounter of Buddhism with western culture and modern life and brilliant expositions of the implications for humanity of the Buddha's teaching of selflessness.